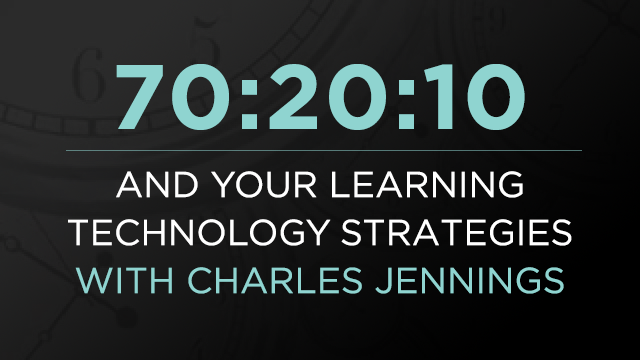 Join Charles Jennings, co-founder of the 70:20:10 Institute, and Trivantis as they explore the use of learning within the workflow to drive higher levels of performance in your organization. In honor of the unveiling of Trivantis Community 2.0, we want to show you the top ten ways to use the Community to your benefit! 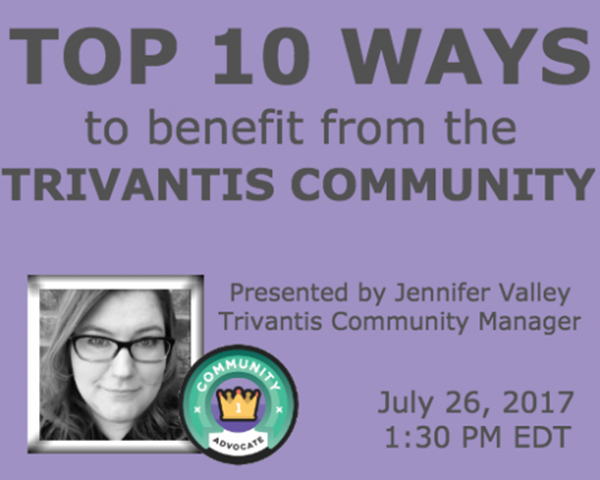 In this free webinar, Jennifer Valley, Trivantis Community Manager, will take you on a tour of the new and improved Trivantis Community. You’ll learn how to make the most of your Community experience, including how you can earn badges for Community activity—like participating in our contest series! Plus, get tips for building your profile by sharing content and networking with fellow eLearning developers. Trivantis Product Manager Daryl Fleary is back with another exciting new feature reveal! 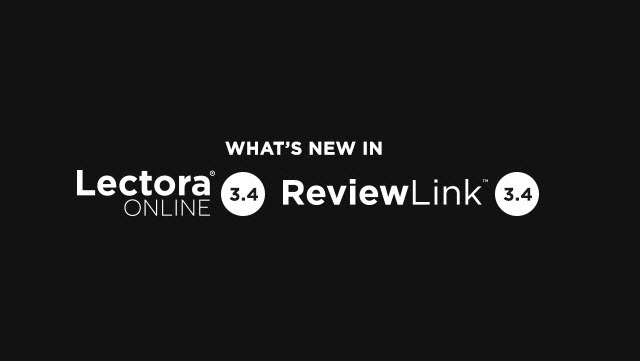 Find out what’s new in Lectora Online 3.4 and ReviewLink 3.4. Join Craig Weiss, principal analyst at The Craig Weiss Group, LLC, and John Blackmon, Chief Technology Officer of Trivantis, on Wednesday, March 15, at 1:30 PM EDT, as they discuss the key trends of 2017, including micro-learning and mobile. 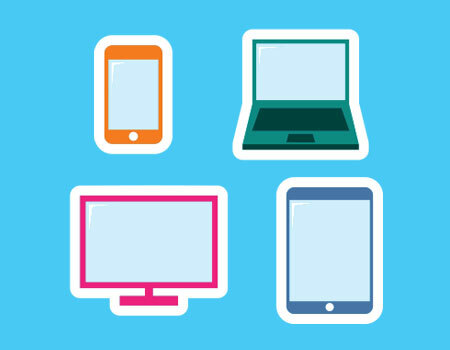 Where is the eLearning industry with micro-learning and mobile today? What can you expect to happen in the near future? 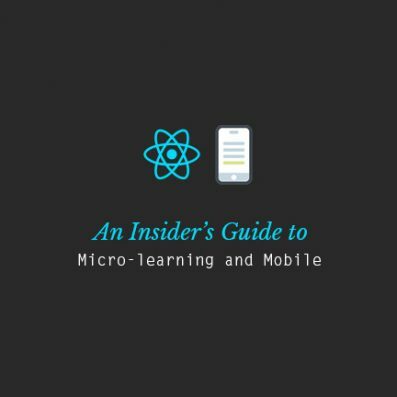 How can you make both micro-learning and mobile an actionable part of your eLearning strategy? Performance support is a term that we hear pretty often in eLearning circles these days. 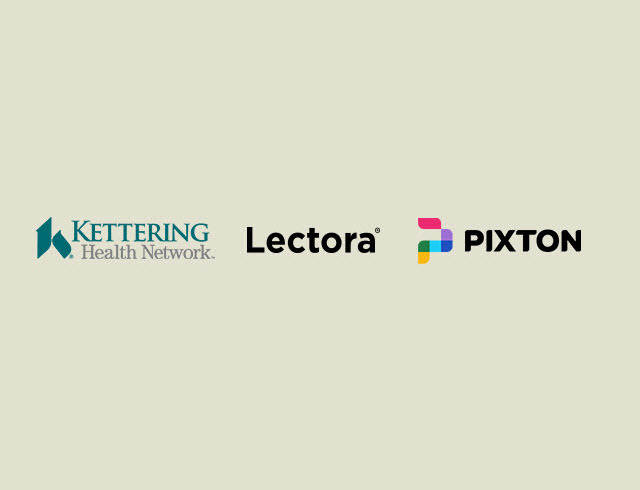 But what exactly does it entail, and how does it differ from traditional eLearning? 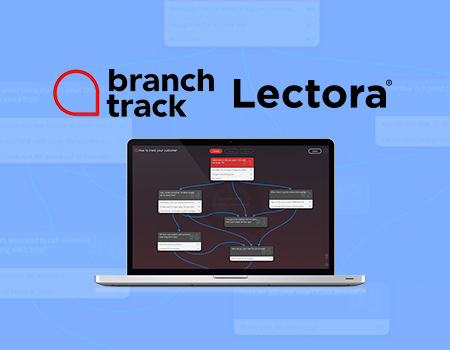 Delivery and tracking of performance support is another big differentiator, as you won’t have tests, and you need to get information to where the users are doing their work, rather than on a desktop. Presented by John Blackmon, Trivantis CTO, this session will take an in-depth look at what makes content performance support, and how you can not only utilize existing training materials as performance support but also how to use a single source to provide both traditional training and performance support. You’ll also see how you can track usage patterns of your content, even when it is used as performance support. 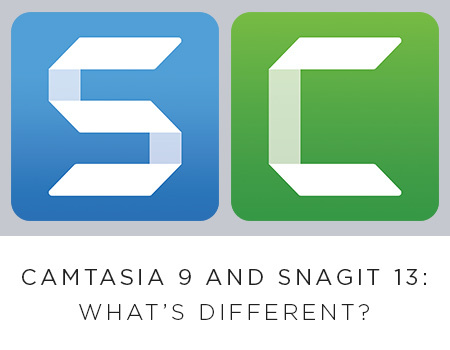 Camtasia 9 and Snagit 13: What’s Different? 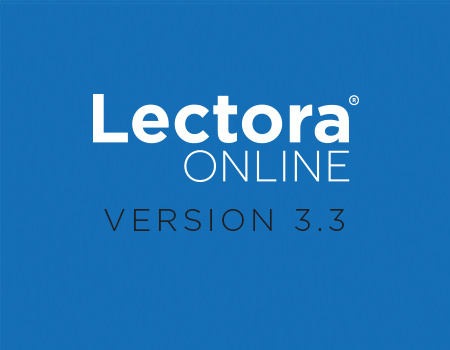 With the recent release of Lectora Inspire 17 you can now enjoy the latest versions of Camtasia 9 and Snagit 13. Camtasia, by TechSmith, is an industry leading screen capture and video editing tool. 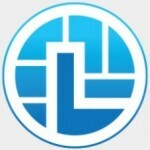 Snagit, also by TechSmith, is an image and video capture and editing tool. Join Jennifer Valley, Community Manager for Trivantis, as she discusses the differences, similarities, and new features. 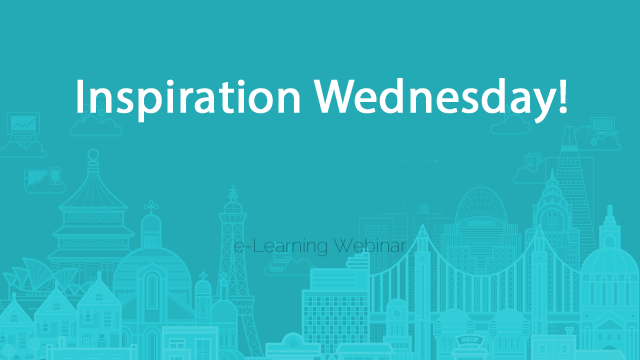 In this free webinar, you’ll learn how you can use these Inspire Tools to easily add interactivity.